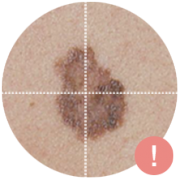 The ABCDE criteria represent a commonly used guide for monitoring your skin for early signs of melanoma. 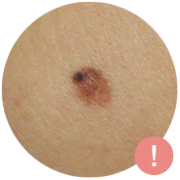 You should use ABCDE rules while doing your skin self-examination. 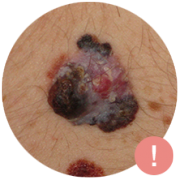 It is advised to inspect all moles bigger than 6mm every month. Read the guide below and see what you should look for. 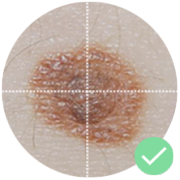 If you see any kind of asymmetry in your mole you should go for an examination to your doctor. If the border is blurry, jagged, or if it has any apparent irregularity it should be examined by a doctor. 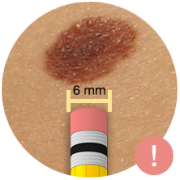 A mole that has more than one colour needs to be evaluated by a doctor. 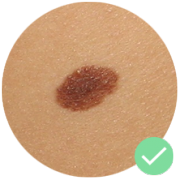 There are some exceptions to the rule, as the mole can be two shades of brown (light brown and dark brown), but that should also be evaluated by a trained professional. 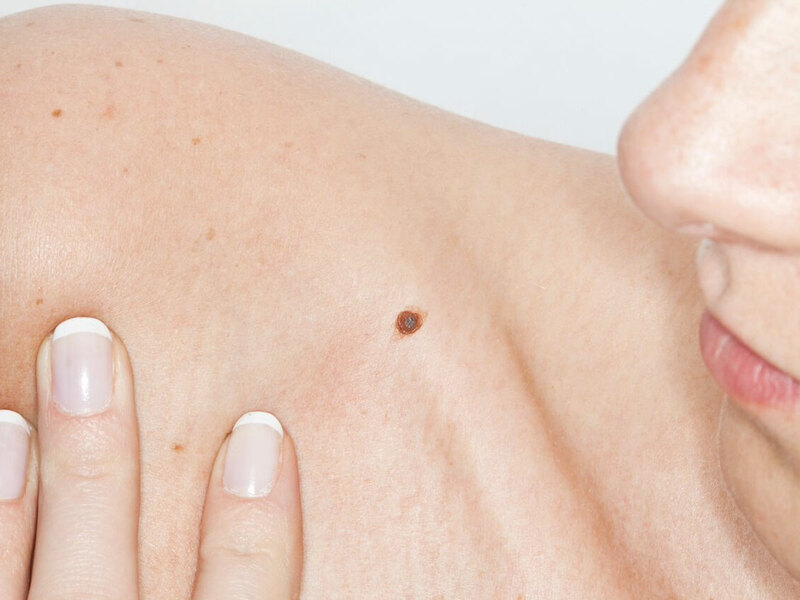 Elevation means that the mole which was flat becomes raised above the surface of the skin. 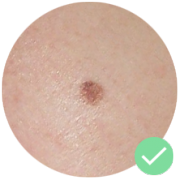 This means that you should try to remember which of the moles are you tracking are flat and which ones are not, from the beginning. Also any kind of evolution is something you should look for. Fast and sudden change in size, shape or color is thought to be an evolution. If the mole starts to bleed, itch, becomes painful, get a crust or becomes inflamed, it is a sign of evolution, so you need to see a doctor. 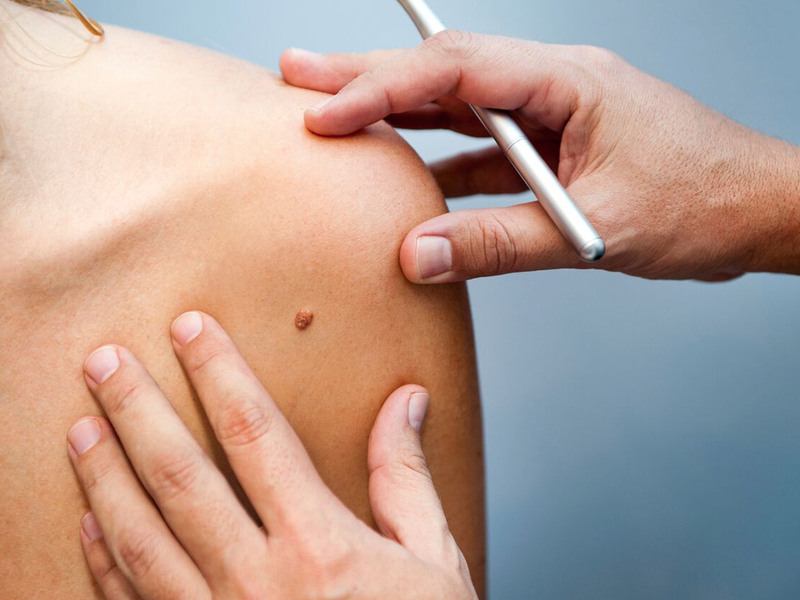 After you visit your doctor and get their opinion on a particular mole, it is still up to you to do skin self-examinations, to stay on the look-out for any changes. 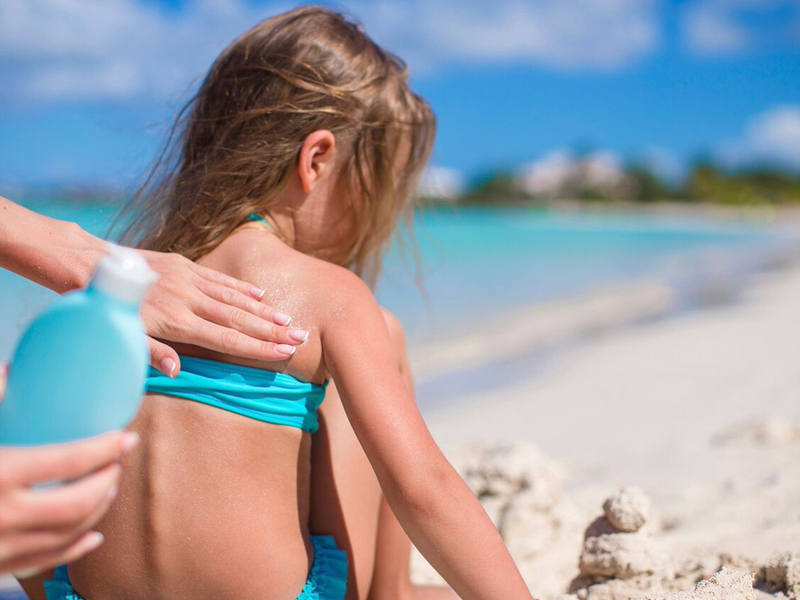 If you notice any changes, you should go and visit your doctor as soon as possible, because visual changes can be early sign of skin cancer. 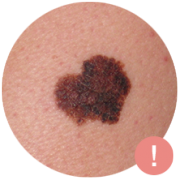 Moles are benign, pigmented (coloured) lesions of the skin, commonly brown to black in colour. 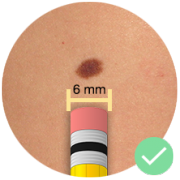 Most moles are between a couple of mm to 1 cm in size. 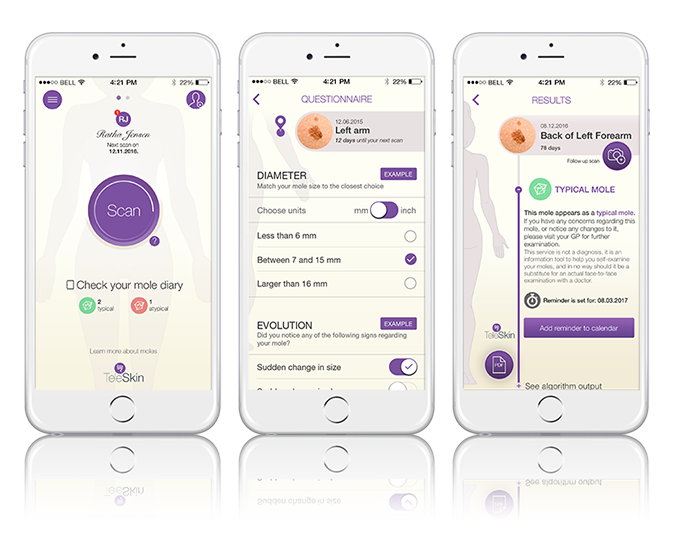 you can use skinScan to keep an eye on your moles over time.